Longing for life on the water? 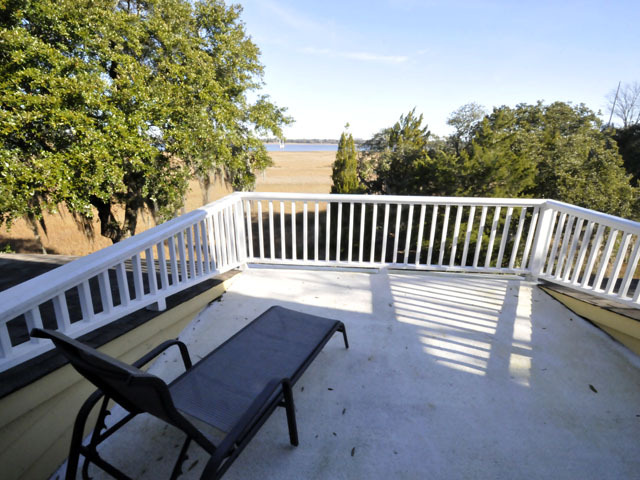 Look no farther than this stunning waterfront home on Ashley River at 12 River Reach Way. The home’s light yellow exterior blends into the golds of the South Carolina marshes, and the interior of the house seems to flow right into the river landscapes out its back windows. The living room, dining room, and kitchen are connected by an open floor plan, all designed with oversized windows and glass doors to offer picturesque views of the river outside. The kitchen has warm hardwood floors and built-in white cabinets. The stainless steel appliances and granite counter tops give the room a contemporary elegance. The wet bar in the family room area, which also houses a gas fireplace, highlights that the house is perfect both for anyone who likes to entertain or someone who has a family that wants to live on the water. The bedrooms are all well-sized with neutral color schemes. The master bedroom has glass doors that lead to its private, second story sundeck, which overlooks green trees, river, and marsh. Its tranquil en suite bathroom also includes large windows that overlook the river, a large corner bathtub and a separate clear-paned glass shower. The outdoor living spaces in this house are breathtaking. Off the living area and dining room is a large screened porch with hardwood flooring. This is a wonderful place for a table for outdoor eating and relaxing away from summertime mosquitoes. Just outside the door to the screened porch is an outdoor deck with wooden benches that connects to a boardwalk. A walk down this boardwalk, through palms and live oak trees draped in Spanish moss, leads to another, more secluded, wooden deck with benches, right atop the golden marshes of the river. The neighborhood, Governor’s Point in West Ashley, has a community dock and the house comes with a deeded boat slip. The West Ashley area is minutes away from downtown Charleston and a short drive to area beaches and has plenty of shops and restaurants. 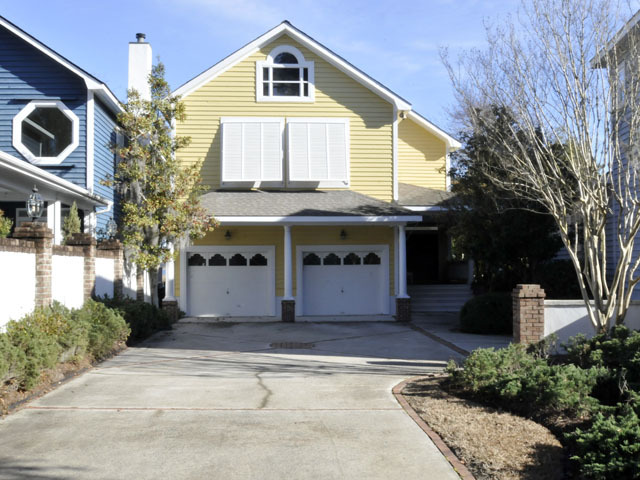 North Charleston is also nearby which is convenient for anyone who works in the north area. This home is perfect for anyone who wants a tranquil life on the water near a metropolitan location! Click here to see a video tour of the property or click here to see more photos!